MAC Cosmetics needed an innovative media and influencer product package to support the launch of its new Prep + Prime Fix line. Americhip’s team of Packaging Engineers worked with MAC to distill the essence of the new product which is designed as a lightweight water mist that gently soothes and refreshes skin and finishes makeup. 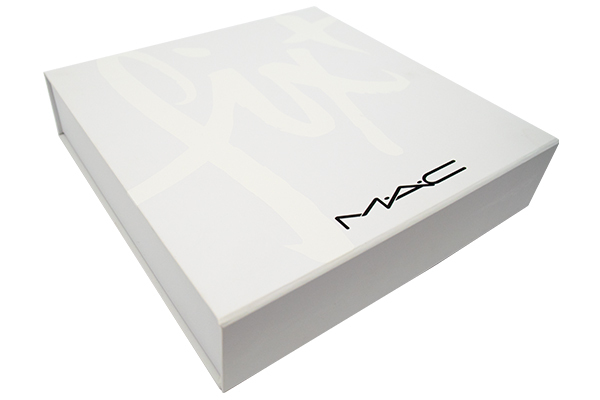 Knowing a clean and fresh Multisensory solution was needed, we started with a sophisticated white box and included the product name as a large white varnish highlight on the lid offset with a simple black logo for the brand name. When influencers open the kit they see a clear tray with splashes of water (or at least hits of clear varnish which look very much like water droplets). 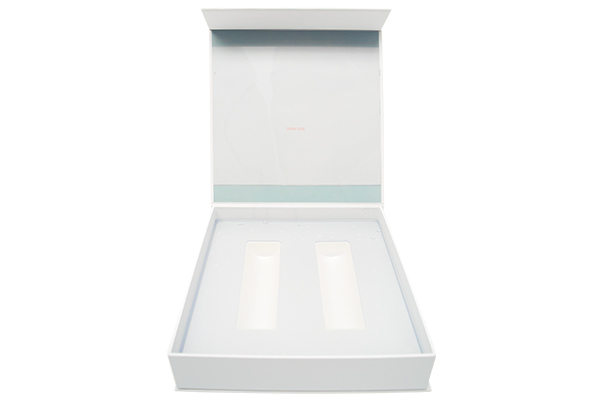 They were then encouraged to splash water directly onto the top of the box to reveal a hidden branding image. Generate stronger bonds with your consumers through Multisensory Print and Packaging…only from Americhip.